Olxam » IES » How to Prepare for IES 2020 ? 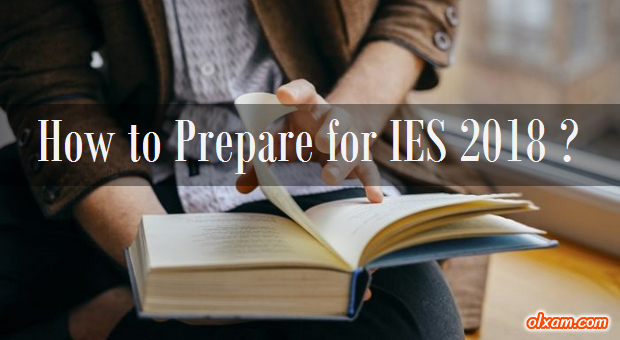 How to Prepare for IES 2020 ? “How should I start preparation for IES 2018 ? Here we are providing some key points which will help you in your UPSC ESE/IES 2018 exam preparation. 1. Cover complete syllabus of IES 2018. Deep understanding of all subjects is required. Mere knowledge will not help you much. 2. Choose right source of knowledge like standard books / study material. Selection of good study material will help you well in your ESE/IES 2018 exam preparation. 3. Good planning and time management of daily routine. As you need to prepare many subjects in a short period of time, So you need a proper plan to complete your whole ESE/IES 2018 syllabus within time. Must Check : How to prepare IES along with GATE ? 4. Balanced preparation of technical and non-technical subjects. There is a minimum cut-off marks decided by UPSC for each section and stage. So a candidate have to clear that cut-off. 5. Subject must be studied from objective as well as conventional point of view. While preparing any subject or making notes of any subject you must keep in mind that you need to prepare that subject from both point of view i.e., objective as well as conventional. 6. Extra emphasis on solving the conventional questions. As you know IES 2018 pattern has changed now UPSC emphasis more on conventional section. So candidates need to prepare this section with extra effort. Try answering questions to depth, marks will not be allotted for mere superficial knowledge so don’t waste time in questions which you don’t know properly. 7. Avoid jumbo and vague approach in solving questions. Any technique which is time consuming in solving the questions should not adopt, otherwise it will waste your precise time during exam time. Answer your questions in a neat and eligible manner as there is a five percent deduction in marks for ineligible answers. 8. Develop speed and accuracy in solving questions. Objective section as well as conventional section required time to solve problems. So it is better if you increase you speed with accuracy while solving problems. 9. Apply short tricks and learn standard results and formulas to save time. UPSC ESE/IES exam contain two conventional papers. In order to solve these papers you need to follow a step by step procedure to solve any problem. Develop some short tricks which can save your time in exam. 10. Study previous years papers. Previous years papers will help candidates to understand the level of questions. Previous IES 10-15 years solved papers would be enough. 11. Practice online and offline modes of tests. These online/offline mock tests will prepare you to be familiarize with exam like environment and will also help you to improve your performance in exam. 12. Always keep a place for revision in your time table. Revision is really-really important because you can’t remember all the things you have studied in previous months. 13. Group study and discussions on a regular basis. It is really-really important if you are preparing self. For checking your preparation level you need a rectifier, which can rectify your mistakes. 14. Self introspection to find your weaknesses and strengths. There is always some good skills in every candidate, which he/she can use in his/her preparation of competitive exam smartly. Candidate should always try to overcome their weaknesses. Candidate preparing for such big exams really-really need self motivation. Because many time they lose confidence while preparing at that time no one can help them to regain their confidence except themself. ♣ How to prepare IES along with GATE ? ♣ Difference between IES and GATE ?